Join us at the Citizen and New Arrival Information Centre on the main floor of City Hall. Please arrive 10 minutes prior to tour. Guided tour gives participants a behind-the-scenes look at City Hall. 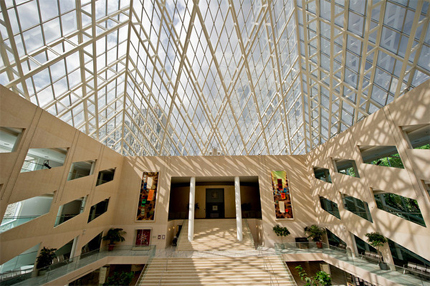 During a tour of City Hall you will learn about municipal government, discover Edmonton's past, and marvel at City Hall's art and architecture. Is your class learning about local government? If so, why not register for a tour of City Hall!